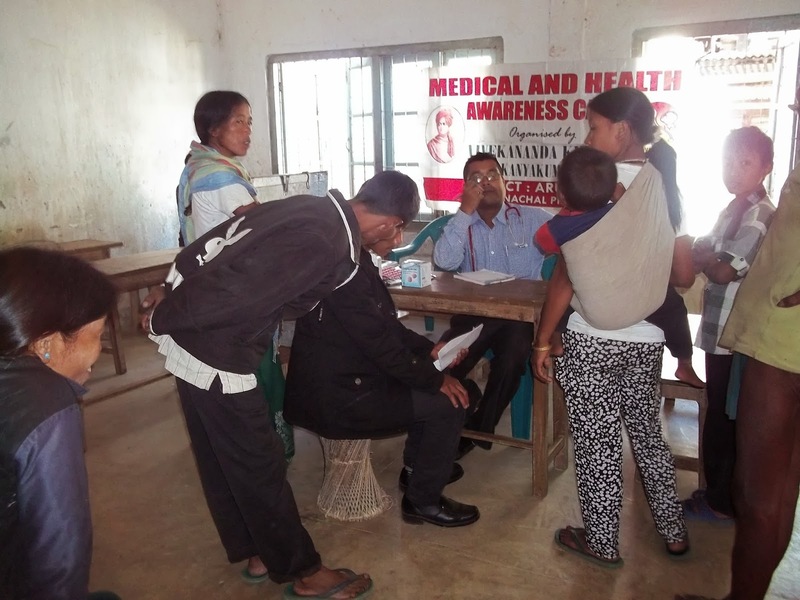 Medical Service Forum of Vivekananda Kendra Arun Jyoti recently organized four medical camps in Changlang district from 23rd November to 26th November. The camps were organized at Longkey,Bubang, Sohelaktong and Chingsa villages of Khimiyong and Changlang circle. A total 371 patients were examined and free medicines were distributed accordingly to the patients.